You were afraid your mind was slipping, and now your doctor has confirmed it. The diagnosis — mild cognitive impairment. But don’t assume that means dementia. There are many possible causes of mild cognitive impairment, so as likely as not, it could be something else. 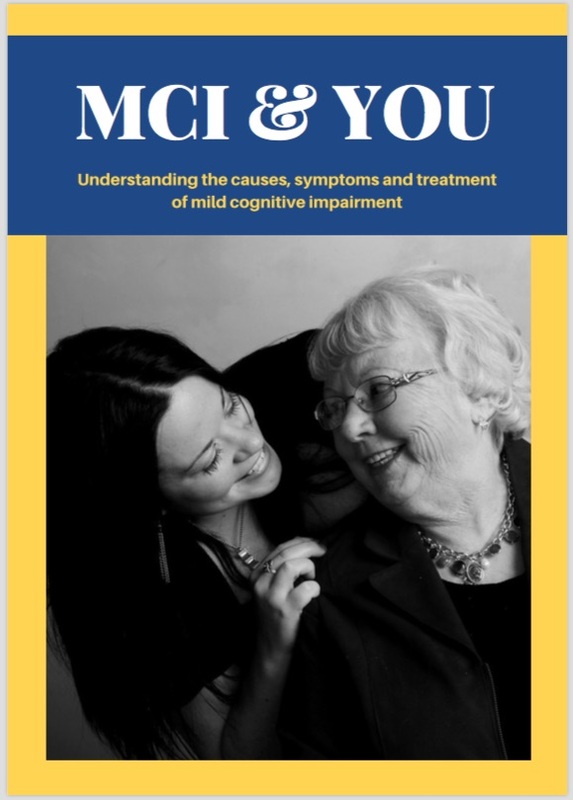 Mild cognitive impairment causes include anything from depression to vitamin deficiencies to alcohol abuse, and even some causes you probably never considered, such as hearing loss or an underactive thyroid. And yes, of course, mild cognitive impairment causes include Alzheimer’s disease or other forms of dementia. Based on the best evidence we have right now, about 30 percent of people with MCI will develop dementia within 5 years. Fortunately, the rest are more likely to see their cognition stabilize or even improve in some cases. So it’s actually quite common for mild cognitive impairment to result from something other than dementia. If that’s the case, the cause may be treatable, meaning your doctor can diagnose it and address it, and your cognition can potentially return to normal for your age. Here are a dozen mild cognitive impairment causes — other than dementia — that you need to be aware of. This is such a huge concern that there’s actually a term for it. Experts call it polypharmacy, which refers to the taking of multiple medications. The number of people over the age of 65 who take three or more medications has more than doubled since 2004. There’s nothing wrong with taking a drug you need, or taking more than one at the same time. 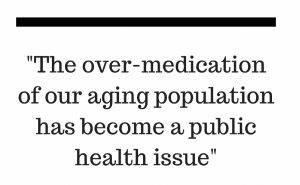 But the over-medication of our aging population has become a public health issue. An estimated 50 percent of older adults are taking at least one medication that isn’t necessary. And as we age, we become more susceptible to the side effects of drugs and certain drug combinations become risky. Dr. Penny Dacks, the former Director of Aging and Alzheimer’s Disease Prevention at the Alzheimer Drug Discovery Foundation, says polypharmacy can definitely lead to cognitive impairment or worsen it. To protect against that, experts says you should take all of your current medications — including over-the-counter medications and supplements — to your doctor for a full medication review. 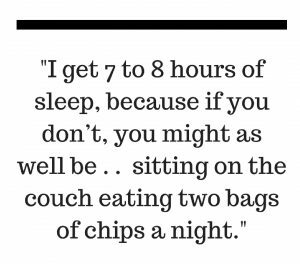 For people with sleep breathing problems, the average age of developing MCI was 77. For those with no sleep issues, they typically didn’t develop MCI until the age of 90. The most common types of sleep breathing disorders are hypopnea (under breathing) and apnea (not breathing) during sleep. New research announced this summer found people who have these sleep problems – and especially people with MCI — are likely to accumulate the beta-amyloid plaques associated with Alzheimer’s at a more rapid pace. If you’re not getting a good night’s sleep on a regular basis, and especially if you snore loudly at night (a warning sign of apnea), make sure to talk to your doctor about this. Bonus tip: Be wary of sleep medications. Certain prescription medications and over-the-counter medications are notorious for causing memory loss. Prescription sleeping pills are among the worst offenders, but a study showed over-the-counter sleep aids also significantly add to the risk for dementia. 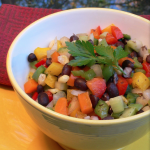 Think of cognitive decline and depression as peas in a pod. The two, unfortunately, often go together. On the one hand, depression is a common, reversible cause of cognitive decline. It can result in memory loss that looks like dementia, but isn’t. The symptoms can include confusion, forgetfulness or an inability to concentrate. If you’re experiencing these things, your doctor can help you identify the cause, and if the cause is depression, you can be treated for that, and your memory can improve. On the other hand, if the cause of your memory problems isn’t depression, depression can still be a concern. 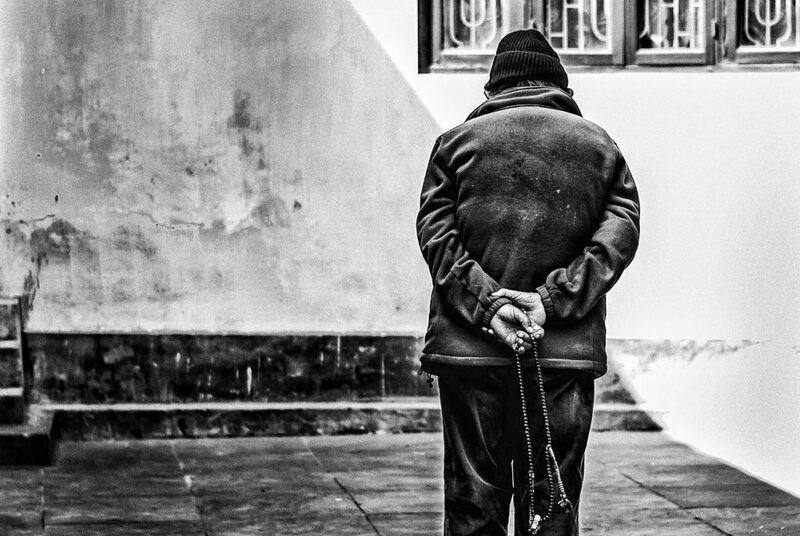 Depression and mild cognitive impairment can occur together, and when they do, it’s crucial that the depression be addressed. 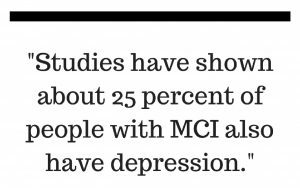 Studies have shown about 25 percent of people with MCI also have depression. One study looked at people with MCI, who also had depression, and found changes in a variety of brain biomarkers that pointed to accelerated aging of the brain, which greatly increased their risk of having the MCI progress to dementia. So don’t let depression go unchecked. Learn the warning signs of depression, and work with your doctor to identify it and treat it if it applies to you. Bonus tip: The organization Mental Health America offers a quick, easy online screening tool you can use to help determine whether you are experiencing the symptoms of depression. It asks you 10 basic questions that you can answer anonymously, then shows you the results and gives you some helpful options for follow-up if you request that. When it comes to vitamins, B stands for brain health. And vitamin B12 in particular. The normal American diet supplies all the B12 we typically need. 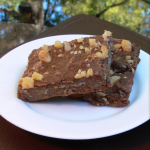 However, as we age, our body may become less able to absorb B12 from the food we eat. The resulting deficiency in B12 can lead to depression, memory loss or dementia, according to the ADDF. 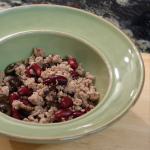 This is particularly true among older adults who have high levels of an amino acid called homocysteine. 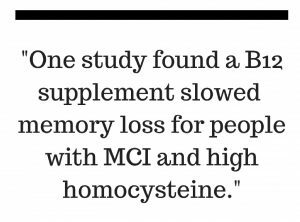 One study found that a B12 supplement slowed the memory loss for people with mild cognitive impairment and high homocysteine. If this is a potential problem for you, it’s best to address it as soon as possible. Once people progress to Alzheimer’s, studies have shown that a B12 supplement doesn’t seem to benefit them. 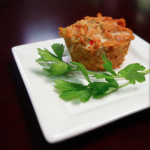 A B12 deficiency is easy to detect with a blood test, and relatively easy to treat, although that may involve periodic injections of B12 or high doses of B12 taken orally. Bonus tip: Don’t rush out and start taking a B12 supplement just because you’ve heard it’s good for the brain. It only appears to benefit people who have a known deficiency. If you’re not deficient, B12 isn’t going to boost your memory or protect you from dementia, based on what studies have shown us so far. Here are two important things you need to know. Many older adults are deficient in vitamin D, and a recent study found adults over the age of 60 who are low in vitamin D experience cognitive decline at a rate two or three times faster than those who aren’t. 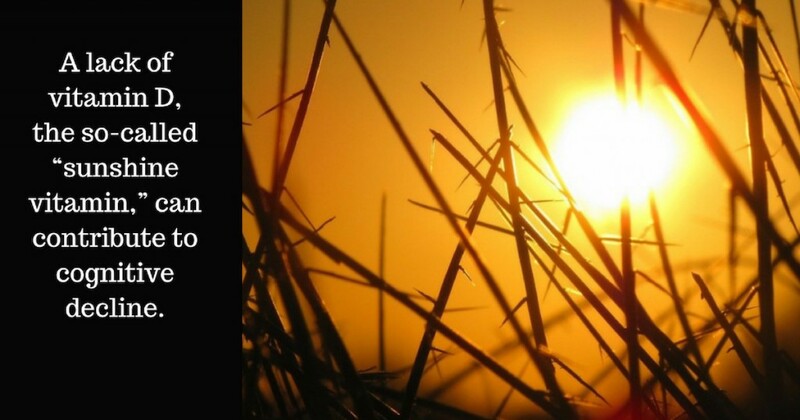 Vitamin D is called the “sunshine vitamin” because our primary source of it is exposure to sunlight. It’s estimated that somewhere between 25 and 50 percent of Americans are deficient in “D.” As we get older, the likelihood of a deficiency increases, partly because we tend to spend less time outdoors, but also because we absorb less vitamin D from the sun as our skin thins and our metabolism slows. Concerns about skin cancer also are causing people to avoid being out in the sun. 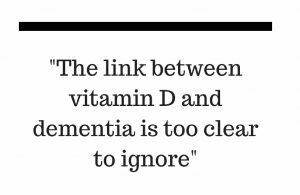 More research is needed to understand how vitamin D acts to benefit the brain, and whether vitamin D supplements can protect against dementia or slow cognitive decline. Studies are going on right now to determine if vitamin D can improve cognition in people with memory problems or mild cognitive impairment. But the link between “D” and dementia is too clear to ignore. You want to make sure you’re getting enough vitamin D. Talk to your doctor about that, ask to be tested if necessary, and consider a vitamin D supplement if that’s what your health care provider recommends. Vitamin D supplements are generally safe when taken in amounts recommended by a physician. Bonus tip: Vitamin D is not only tied to cognition, but also plays an important role in helping protect older adults against the risk of falls and broken bones. For that reason, the American Geriatrics Society recommends that doctors advise most patients over the age of 65 to take a vitamin D supplement of at least 1,000 international units (IU). Baby Boomers like their booze — and may be paying a heavier cognitive price for that. Studies show our generation drinks more heavily than the generations that came before us or after us, and we’re taking our drinking habits with us into older age. Experts say the result can be a degree of confusion and memory loss that is often mistaken for Alzheimer’s. That doesn’t mean all alcohol consumption is bad. There’s evidence that drinking in moderation, especially red wine, may lower the risk of dementia. But heavy drinking harms brain cells at any age, and presents an even greater cognitive risk later in life. A study done by the department of geriatrics and aging research at the University of Florida in 2016 found heavy drinkers have lower scores for learning, memory and motor function. 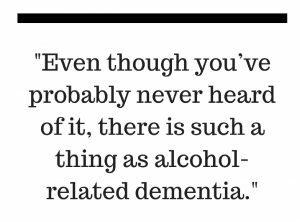 In fact, even though you’ve probably never heard of it, there is such a thing as “alcohol-related dementia.” Nicole Absar, a geriatric neuropsychologist, told Philly.com that chronic drinking can result in memory loss that resembles better-known forms of dementia. She said it’s probably underdiagnosed, but the good news is that if the cognitive decline is related to alcohol, it will stop progressing, and potentially even improve, if the person stops drinking. The concept of alcohol-related dementia isn’t universally accepted, but most experts agree that heavy drinking can contribute to cognitive impairment even if it doesn’t directly cause it. 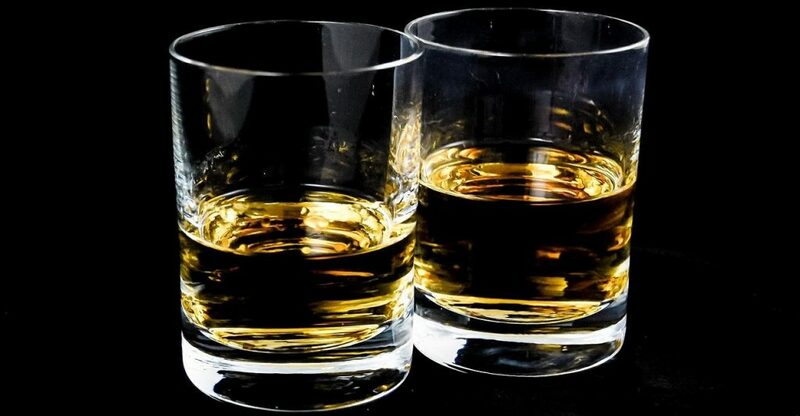 Moderate consumption of alcohol is defined as two drinks a day for men, or one drink a day for women. If you’re drinking more than that, and you’re worried about memory loss, talk to your doctor and make sure alcohol consumption is part of the evaluation when your cognitive problems are being examined. Bonus tip: If you are taking multiple medications, you need to be wary of how much you’re drinking. Alcohol and medications can be a particularly bad mix. 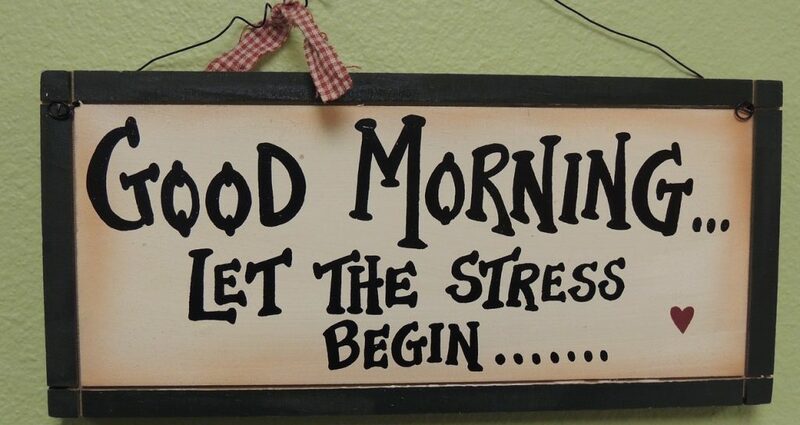 Stress is the condition of modern life. As a society, we are stressed out, and it is taking a toll on our health, not to mention our brain. Unchecked stress can be a cause of memory loss, and it can exacerbate memory loss. One recent study found people with high levels of stress were more than twice as likely to experience cognitive impairment. Researchers at the Albert Einstein School of Medicine in New York followed some 500 adults aged 70 or older for more than three years. They used a test called the Perceived Stress Scale to measure how much stress these older adults were experiencing. 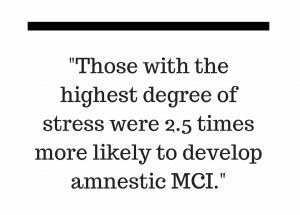 Those who registered the highest degree of stress ended up being 2.5 times more likely to develop amnestic MCI. We don’t understand exactly how stress has that impact, but scientists theorize that prolonged stress causes inflammation of the brain, which can leave us more vulnerable to MCI and dementia later in life. Stress also can lead to depression, which is strongly associated with cognitive decline. There are relaxation and mindfulness techniques you can use to cope with chronic stress. There are other ways to address it as well. Dr. Andrew Weil offers 10 tips for reducing stress, including breathing, exercise and meditation. You’ll find that information here. This one caught me by surprise. While hearing loss is a common (and all too frequently unaddressed) problem among older adults, it’s only very recently being discussed as a contributor to cognitive decline. But it’s clearly a major one. 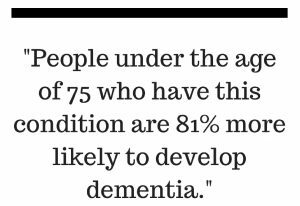 At the Alzheimer’s Association International Conference in London this summer, the Lancet International Commission on Dementia Prevention issued an estimate that more than one-third of dementia cases could be prevented by addressing nine lifestyle factors. And of the nine, it identified hearing loss in midlife as the single biggest risk. 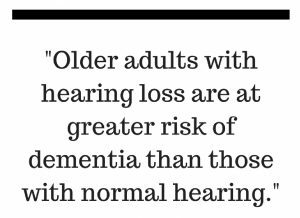 The Lancet Commission estimated that addressing hearing loss could reduce dementia cases by 9 percent, which would have an even bigger impact that addressing smoking (5 percent) or lack of exercise (3 percent). 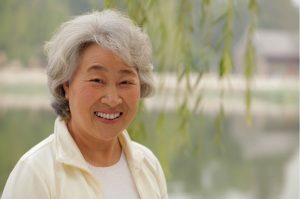 It’s estimated that about one-fourth of adults between 65 and 74 have disabling hearing loss. For people 75 and older, the percentage is more like one-half. After the Lancet Commission report came out, the Better Hearing Institute issued a guide to hearing loss and cognitive decline, offering tips, suggestions and resources. You can find that here. Bonus tip: The Better Hearing Institute says about 70 percent of adults who had a physical exam last year didn’t receive a hearing test as part of that checkup, so it’s important for you to initiate that discussion. To help you do that, the BHI created a flipbook called “How To Talk To Your Doctor About Hearing Loss.” It’s available here. This is not one of the more common culprits when it comes to cognitive loss, but you at least need to be aware of it. Somewhere between 4 percent and 15 percent of Americans have a condition called “subclinical hypothyroidism,” which basically means you have warning signs of an underactive thyroid. Symptoms can include unexpected fatigue, weight gain, dry skin, a puffy face, hoarseness or thinning hair. 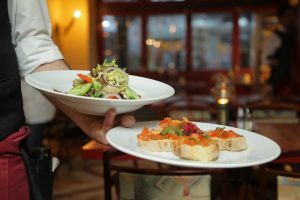 This thyroid problem became a cognitive concern in 2015 when researchers in Italy reviewed previous research and found people under the age of 75 who have this condition were 56 percent more likely to have impaired cognitive function and 81 percent more likely to develop dementia. An article published on EndocrineWeb.com says the symptoms of subclinical hypothyroidism are so mild that they’re often dismissed as signs of normal aging, so the problem can go undiagnosed for years. If you have this condition and it goes untreated, it can result in memory loss or slower cognitive function. The Mayo Clinic says tests are available that can accurately detect hypothyroidism, and the problem can be treated safely with synthetic thyroid hormone. To learn more about the symptoms or more about this issue in general, visit the Mayo Clinic website here. Studies indicate that current smokers are at higher risk for mild cognitive impairment, and if you have MCI and you smoke, one of the first things your doctor will recommend is kicking that habit. Don’t be discouraged if you’ve tried to quit before and failed. Many people who’ve quit tried several times before they succeeded. For more information on smoking cessation, visit the website of the American Cancer Society here. Better brain health begins with exercise. It’s really that simple. Pretty much every neurologist I’ve ever talked to has told me that when it comes to reducing the risk of dementia or slowing cognitive decline, getting more physical activity is the first priority. The ADDF says more than one million cases of Alzheimer’s disease in the U.S. can be attributed to a lack of exercise. Several large studies have concluded that even low or moderate amounts of physical activity can reduce the risk of cognitive decline by more than one-third. And yet, here’s the problem. Most people hate exercise and just won’t do it. Or they’ll start an exercise program, but quit. If you’re one of those people, here’s the answer for you. Don’t think in terms of exercise. You don’t have to drag yourself to the gym and plod along on the treadmill for 30 minutes. Just find a way to get your body moving on a regular basis, and make it something you enjoy. Other enjoyable forms of physical activity can include dancing, gardening or tai chi. Just shoot for a minimum of 150 minutes of moderate physical activity a week. And buddy up. Having an exercise partner increases the likelihood you’ll stick with it. Bonus tip: Physical activity has to be done at a moderate pace and continue for at least six months in order for you to get a cognitive benefit from it. Here’s a simple rule of thumb. If you can talk while you’re doing it, but not sing, that qualifies as moderate physical activity. This is another one of the big, emerging concerns in cognitive health. Former U.S. 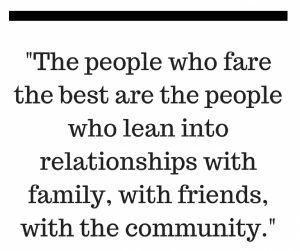 Surgeon General Dr. Vivek Murthy recently declared loneliness both an “epidemic” and a public health crisis. “We live in the most technologically connected age in the history of civilization, yet rates of loneliness have doubled since the 1980s,” he writes in the Harvard Business Review. Health experts say this loneliness and isolation not only increase our risk of heart disease, depression and anxiety, they can lead to cognitive decline — and also accelerate it. 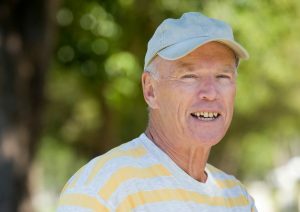 That can be a particular concern for people with mild cognitive impairment. A diagnosis of MCI can be frightening and isolating, and the tendency may be to withdraw. It’s important to do the opposite, and keep your mind engaged. Social and mental stimulation have been shown to help us build more neural connections in the brain. This process of “neurogenesis” improves cognition. The more you interact with other people, and the more you challenge your mind by learning new things, the better your brain is likely to perform. 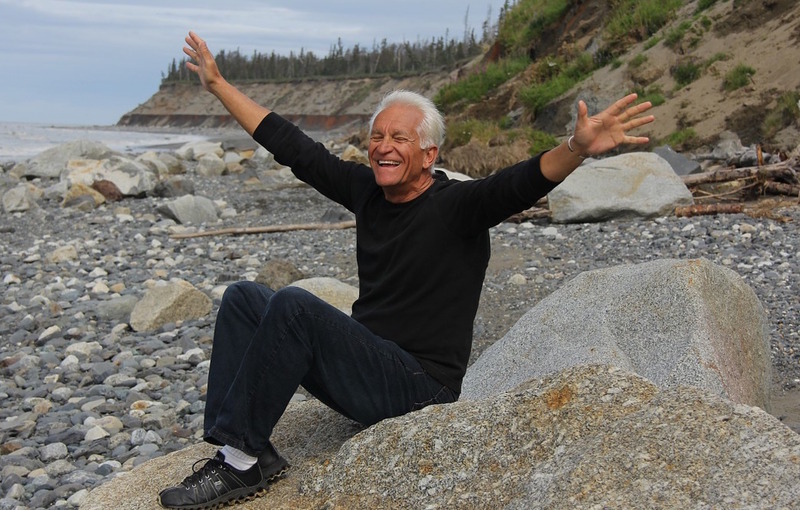 In one recent study, people with mild cognitive impairment were put in a program that encouraged them to engage in more “cognitively stimulating leisure activities.” Over 6 months, these people really changed their habits. They spent more time around other people being active and mentally engaged, and less time at home sitting in front of a television. At the end of the study, they had shown no further cognitive decline, and they were much more optimistic about the future and about what they could do to help themselves. Bonus tip: For people with cognitive issues who are looking for ways to engage, one welcome trend has been the emergence of Memory Cafes. 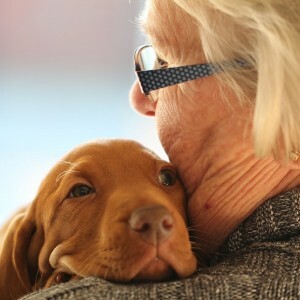 They offer a welcoming, non-threatening setting for people with memory issues to socialize. To find a Memory Café near you, use this directory. There are many causes of MCI other than dementia, and one (or more) may be affecting you. Learn more about these risks — and how to address them — with my helpful guide, “Recommended MCI Resources.” It’s free when you sign up for my weekly newsletter. Get it today.